A strong earthquake with a magnitide of 7.6 (corrected from 7.9) shakes Eastern Visayas area of the Philippines at around 8:47 PM, august 31, 2012. The tremor was felt as far as Davao City. According to the United States Geological Survey (USGS), the epicenter of the quake was located at 135 km East of Sulangan. Because the epicenter is located at the sea, the Pacific Tsunami Warning Center has issued a warning for Indonesia, Philippines, Belau, Yap, Taiwan, Japan, Guam, N. Marianas, Papua New Guinea A Tsunami Watch is in Effect For Chuuk, Marcus Is., Kosrae, Pohnpei, Marshall Is., Wake Is., Solomon Is., Russia, Nauru. In Cebu City, the tremor sent thousands on the street. Occupants of high-rise buildings were forced to evacuate as soon as the shaking stopped. According unconfirmed reports, Jones avenue was filled with people in response to the quake. Have you heard of the "Oppa Gangnam Style" music video? Well, if you did, it would be no surprise because it's the latest YouTube sensation in the US and its popularity is spreading to other countries as well. To testify to its immense popularity, the music video which was upload in YouTube last July 15 have already garnered 70 Million views. And as expected, a number of parodies has already surfaced. Gangnam Style is a Korean term associated with lavish lifestyle. 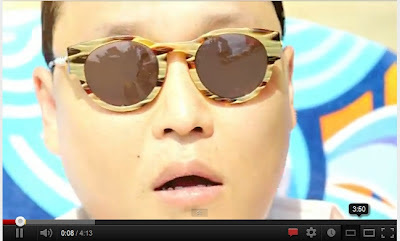 That can readily be seen in the video as PSY performs dance moves with fashionable clothing and at most times surrounded by pretty, well-dressed girls. The term rose from Gangnam District, which is one of the wealthiest areas in Seoul, South Korea. The word "Oppa", on the other hand literally means "brother". Malacañang Palace, the residence of the Philippine president, (Photo credit: Wikipedia) This is another long weekend for employees and students. As scheduled late last year via Proclamation No. 295, August 27, 2012 (Monday) will be a regular national holiday in celebration of the annual National Heroes Day. With that, all classes and by default, all work shall be suspended for that day to give everyone time to celebrate the patriotic event. Philippine Long Distance Telephone (PLDT) chairman Manuel V Pangilinan commonly referred to as MVP is now on twitter. His account which officially goes online today is @iamMVP. Tweeted by Smart Communications, MVP is now inviting everyone to follow his tweets. PLDT is the largest communication company in the country and is a leading provider of wired and wireless communication services such as telephone, internet, satellite TVs and many more. The Professional Regulation Commission (PRC) has just released the results of the Board Exam for Nurses. According to their official website, www.prc.gov.ph, 27,823 out of 60,895 passed the exam that was given in key cities of the country (Manila, Baguio, Cagayan de Oro, Cebu, Dagupan, Davao, Iloilo, Laoag, Legazpi, Lucena, Nueva Ecija, Pagadian, Pampanga, Tacloban, Tuguegarao and Zamboanga) last June 2012. Roxanne Trinity Dotingco Lim of the University of Sto. Thomas lead this phase of examinees garnering a score of 86.2. She was closely followed by Kristen Erika Hife Pino of Cebu Normal University and Carmela Celebrado Shimizu of the University of Saint Anthony with a weighted score of 85.4. Interaksyon.com first broke the news about the video where a man was seen assaulting a seemingly helpless MMDA traffic enforcer. 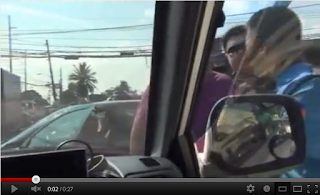 According to the report, TV 5 producers was incidentally in a car next to the scene. The camera was inside the car but the voices from outside can still be heard. 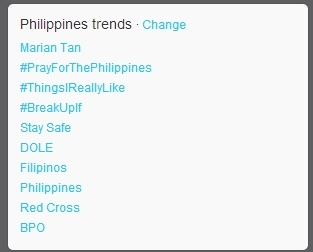 Immediately after posting the video on YouTube, the words MMDA and the man's name quickly trends on twitter. The tweets shows sympathy to the humiliated enforcer and anger to the man.In YouTube, similar comments can also be found, most of which are seeking for justice. The man is identified as Mr. Blair Carabuena working as a human resources officer in a tobacco company: According to interaksyon.com, Blair refused to give statements regarding the event. Meanwhile, the enforcer was identified as T/C Mr. Saturnino Fabros. Based on the their latest tweet, MMDA Legal is filing a case against the Mr. Blair tomorrow. Jeremy Renner as Aaron Cross in Bourne Legacy (Photo credit: Wikipedia) A couple of days ago, I watched one of the most awaited movie in the country, the Bourne Legacy, the fourth installment of the Bourne movie series, all of which are based on Robert Ludlum;'s novel series bearing the same title. The film stars Jeremy Renner (Hurt Locker) playing the role of Aaron Cross, a state assassin, Rachel Weisz (Constant Gardener) as Dr. Martha Shearing, a medical scientist and Edward Norton as Eric Byer, the primary antagonist. English: Philippine President Benigno S. Aquino III (2010-present) (Photo credit: Wikipedia)President Benigno Aquino III declares August 20, 2012 as a regular national non-working holiday in Celebration of the Muslim festival Eid’l Fitr. The president made the declaration via Proclamation No. 455 series of 2012. This would be a good news for employees because on the next day, August 21, 2012 (Tuesday) the country will celebrate Ninoy Aquino Day as previously declared via Proclamation 295. This weekend will be a long weekend with the two holidays being Monday and Tuesday. And on the week after next week (Monday, August 27), the country will again be on a national holiday in celebration of the National Heroes Day. Not Good News For Flood Stricken Areas? Due to continous raining and the rise of floodwater in some areas of Metro Manila, some of the Local Government Units have suspended their classes for tomorrow, August 7, 2012 (Tuesday). Here are the latest list as of the time of writing.